Founded in 1974 with the name of Appaloosa, the business was started through the innovation of the Stocchetti-Rasia family and their passion for horse riding and everything to do with it. Particular importance was laid on the morphological features of the different equine breed and on the needs of riders for comfort and balance. Over time the business aquired greater technical knowledge as from Germany, England and Switzerland, it assimilated their longlasting traditions in saddle-making. The conclusion was the idea that saddles being the main means of securing contact between horse and rider, are also the best solution for satisfying the needs of both. An idea – that the saddle must be developed around a tree of new design, characterised by the utmost flexibility, intended to distribute the weight of the rider uniformly over the horse’s back, and able to adapt to different morphologies – was transformed into a business. The knowledge gained from testing in partnership with a team of riding professionals and enthusiasts – was harnessed in the highest-quality hides in Europe and backed up by thorough craftmanship. There were the credentials of the businesses when it made its debut on world markets. Aptly, the name of its first saddle was Prestige. 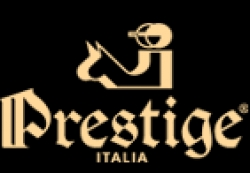 The business, which in the meantime had changed its name to Prestige Italia SpA, responded to the growth fuelled by its market positioning with changes to its administration and sales. Their relocation, from Quargnenta, where the business began, to new premises at Trissino, was carried through without ever compromising on its leading-edge status in the sector and its manufacturing quality, which are its strongest features. The business is a “Made in Italy” success story, as confirmed by the major horse-riding champions who always opt for the precision and technique of Prestige saddles.